The Archaeological Museum which is situated in Thrissur is famous for its huge and rare collection of artifacts. The Archaeological museum was established by the Government of Cochin in the year 1938 as Sree Mulam Chithrasala which is a picture gallery. The exhibits at that time were the crafts work of copies of murals in Mattancherry palace and some other temples. There were several skilled artists and craftsmen to do this work. Earlier this museum was in the balcony of the town hall. Later after ten years an Archaeological gallery was also attached to the picture gallery. All archaeological materials that were discovered by the Archaeological department of Cochin were kept for display. Then both the picture gallery and the Archaeological gallery were shifted to Kollengode Palace. 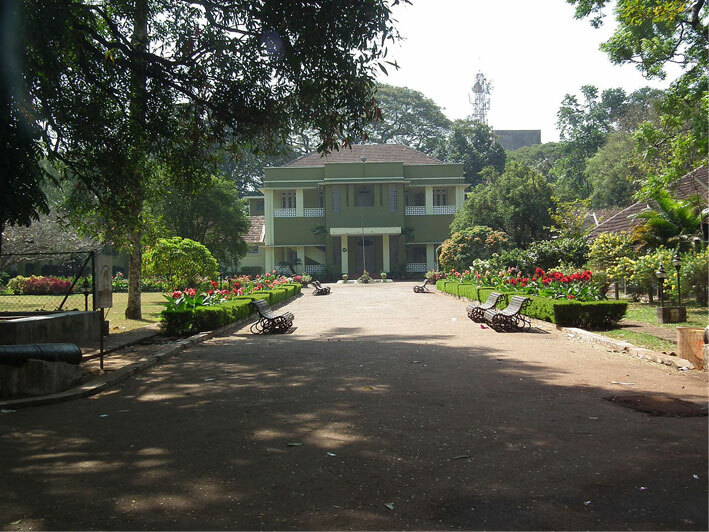 It came to be called as the Thrissur Archaeological Museum. This building is very beautiful and is constructed in a mixture of traditional as well as western style. There are mural paintings and life size statues of famous personalities in this museum. Models of ancient monuments such as temple made of plaster of Paris are kept here. They represent the temple in its excellent form. ‘Thaaliyola grandhangal’ which are the ancient manuscripts written on palm leaves are kept for display. These are very fragile items and are taken much care to preserve them for so long. There are many articles which are obtained from the forests of Wayanad and Thrissur. ‘Veerakallu’ which is used by the heroes of the ancient period have engravings on the stone. This is kept for display in this museum. Excavated items from Megalithic sites such as Urn burials, black and red wares and excavated items from Cheraman Parambu etc are also housed here.